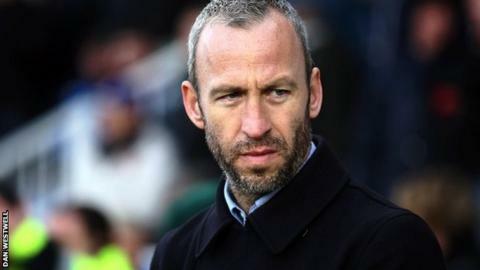 Manager Shaun Derry admits Notts County are struggling in front of goal. Notts bowed out of the Johnstone's Paint Trophy at the northern area semi-final stage on Tuesday with a 1-0 home loss to Preston and have only scored four goals in their last six games. Derry told BBC Radio Nottingham: "That cutting edge is sometimes expensive. "We had Garry Thompson, who hit a fine run of form a few weeks back. But we need goals from other areas. We cannot just put the pressure on the forwards." The Magpies have won just once in their last six matches in all competitions, but are level on points with Rochdale, who occupy the final play-off place. "We have to go Rochdale and carry on the good season," added Derry. "We are joint sixth in the league and there is still lot to smile about."